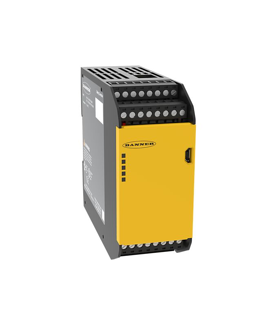 The XS26 is a flexible choice for system integrators because it can adapt to a variety of machines, ranging from small ones to those spreading over multiple lines. The software is easy to configure, while the controller hosts a live display feature providing real-time diagnostics and monitoring of I/O. The flexibility requirement of an automation company is catered through an expansion capability of up to eight I/O modules, which can be brought to play as the needs grow. 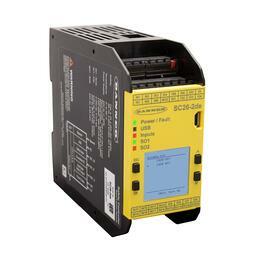 The Ethernet-enabled variant can be configured for up to 256 virtual status outputs. The SC26 is relatively smaller than the XS26, while still providing flexible and efficient operation. 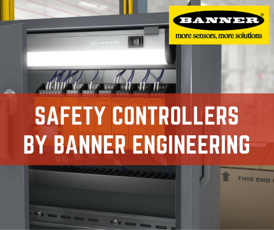 The controller is capable of monitoring a variety of input devices like safety stops, e-stops, optical sensors, and safety mats. Eight of the inputs can also be set up to be outputs due to the base controller if necessary. The inclusion of Boolean logic functions ensures programming flexibility while pre-configured safety blocks cut down extra development time. 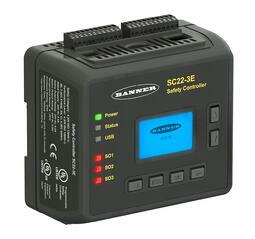 The SC22 provides comprehensive control functionalities. The controller uses an RJ45 Ethernet connector while supporting communication protocols such as Modbus and PCCC. Its 22 input terminals can monitor both PNP solid-state outputs as well as contact based ones from Banner or other manufacturers. A live display shows the fault log that provides real-time history as well as fault identifications.